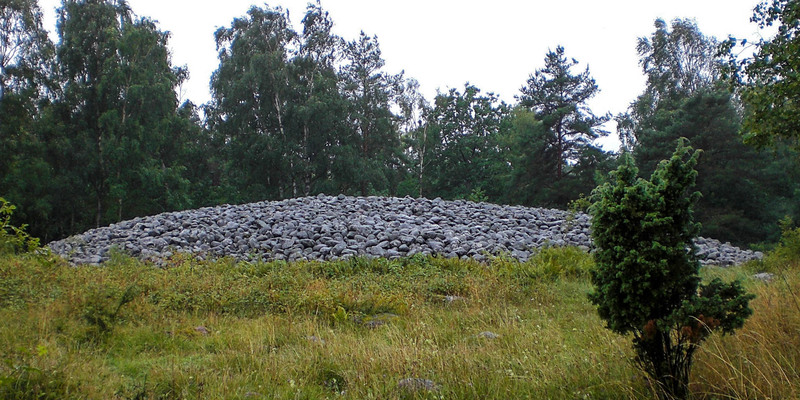 Blå Rör is a large cairn on the eastern outskirts of Borgholm, with a diameter of 40 meters and a height of 3 meters. 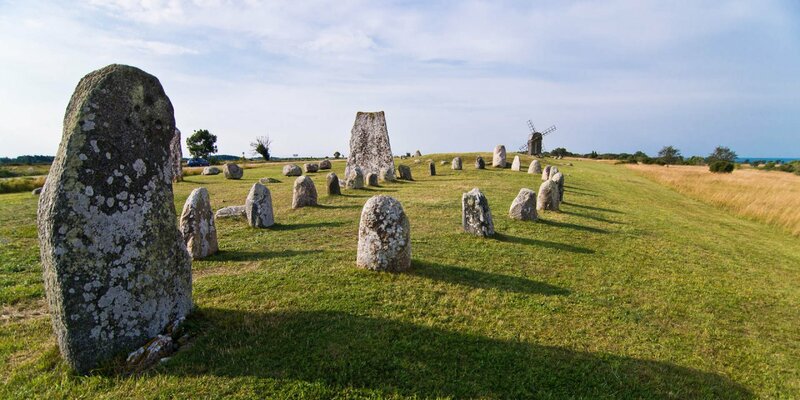 It is the largest and most famous cairn grave on the island of Öland. 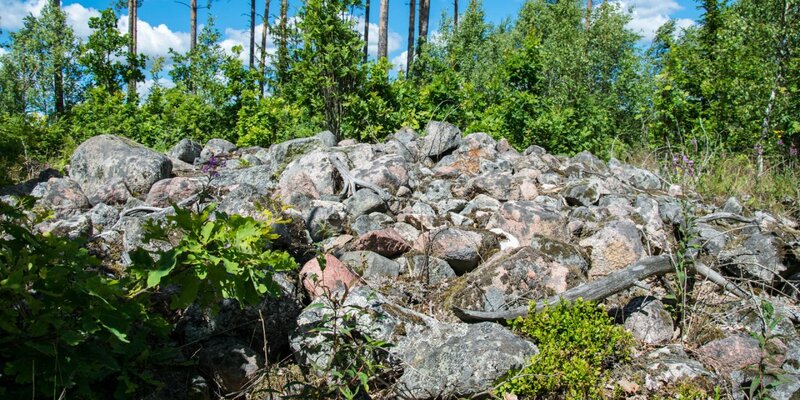 The grave mound Blå Rör consists of rounded stones with a size between thirty and forty centimeters. On one side, at the foot of the crain, is an one meter deep and four meters long depression, which looks like it was the entrance to the tomb. On top of the crain is also a depression of two meters in diameter and a depth of half a meter. 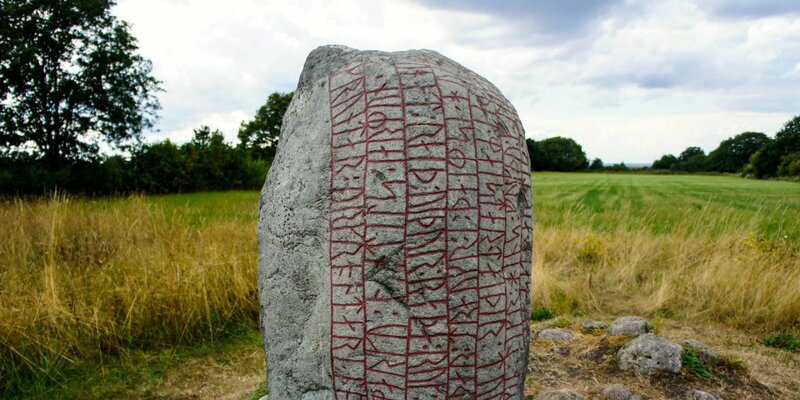 Blå Rör has been archaeologically studied twice. The first excavation in 1849 led to the discovery of an already plundered grave chamber in the middle of the crain. The second excavation was carried out in 1927 and also served as the restoration of the heavely damaged tomb. At that time, four more graves were found in the further outlying areas. Including two graves from the Early Bronze Age.